This advisory from Hawkins Delafield & Wood LLP provides a concise side-by-side summary of the House and Senate private activity bond provisions. The 9% Low-Income Housing Tax Credit (LIHTC) program escaped change in both the House and Senate tax reform bills. In light of continuing support for LIHTCs, Senator Kaine has joined Senator Maria Cantwell of Washington and Senator Orrin Hatch of Utah as a sponsor of the Affordable Housing Credit Improvement Act of 2107. This bill would expand and enhance the LIHTC program to better address the nation’s substantial shortage of affordable rental housing. FHA’s high insurance premiums and life-of-loan coverage requirements are spurring a substantial run-off of quality loans from its homeownership portfolio due to prepayments. This is driving efforts to reduce the FHA premium (rumored to happen soon) and/or repeal of the life-of-loan coverage requirement (see October 31, 2017 postings). HUD continues to struggle in replacing/upgrading its legacy IT systems and processes that put the administration of its programs at risk. This article summarizes the findings of a recent Inspector General report finding HUD in noncompliance with the federal Digital Accountability and Transparency Act’s required reporting deadline. Lack of adequate affordable home purchase inventory poses a challenge to Fannie Mae and other affordable housing lenders, including VHDA, in meeting first-time homebuyer needs. In response, Fannie Mae is considering a new pilot single family construction loan program to help address some of the challenges faced by buyers seeking both construction and permanent financing. J.D. Power’s 2017 U.S. Primary Mortgage Origination Satisfaction Survey revealed that the mortgage industry’s promise of technology creating a faster and easier mortgage origination process does not appear to be fully recognized, as customer satisfaction fell due to perception of slower loan processing. The following two articles briefly summarize the initial provisions of the House tax reform legislation that directly impact housing and the initial housing industry reaction to them. A brief overview of industry reaction to provisions curtailing the mortgage interest deduction and related changes impacting the homeownership market. A brief summary of provisions impacting affordable housing programs, especially those supporting affordable rental development. This article summarizes testimony by MBA President David Stevens outlining MBA’s position on GSE reform that recommends recasting the GSE’s current charters and allowing a multiple-Guarantor model that features at least two entities and preferably more. In October, the National Flood Insurance Program, which has been in the red since Hurricane Katrina in 2005, exhausted its $30 billion borrowing capacity and had to get a bailout just to keep paying current claims. Congress must decide by December 8 whether to keep the National Flood Insurance Program going. The 2013 CFPB mortgage underwriting rule exempted GSE and other governmental loans from the “Qualified Mortgage” (QM) requirements including the debt-to-income (DTI) limitations set on QM loans. As the GSE and FHA share of mortgages has grown, and as DTI ratios for governmental loans have steadily increased above the QM limits, pressure has grown on the CFPB to align QM DTI standards with current GSE underwriting practices. Third quarter homeownership rate estimates show homeownership trending up from its recent low in 2016, but at an anemic rate of increase. This articles summarizes current trends in homeownership along with trends in rents and home prices. Black Knight’s look at trends in “payment-to-income” ratio for home purchase concludes that while home prices continue to rise, U.S. housing remains more affordable than long-term benchmarks. NAR forecasts home sales to continue rising in 2018, but acknowledges the headwinds the market faces, especially for first-time buyers, and the challenges to market growth posed by current tax reform proposals. A new research report released by Freddie Mac finds that the already-acute shortfall of affordable rental apartments has widened "considerably" over the past six years. The report looked at loans Freddie Mac Multifamily financed multiple times between 2010 and 2016. It found 11.2 percent were affordable to very low-income households--those with incomes no greater than 50 percent of area median income--at the first financing. At the second financing, rents had increased so significantly that just 4.3 percent of the same units were affordable to very low-income households. This represented a 60-plus percent reduction in the number of units deemed affordable to very low-income households. Freddie Mac Multifamily said increasing rents and stagnant household incomes are behind the problem, which it said could become worse unless the affordable apartment supply grows to match increasing demand from lower-income renters. Previous Freddie Mac research found rising costs of land and construction have also widened the supply gap. Are we in a housing bubble? We think of a housing bubble as house price growth that isn’t sustainable because it isn’t consistent with underlying fundamentals, like income and job growth. To determine whether a bubble exists, we must look at both factors: the change in house price levels and the underlying fundamentals. Nationally, over the past five years, the increase in house prices has outpaced inflation by 34 percent cumulatively since 2012. Though noteworthy, the increase is less than half the pace seen between 1997 and 2006, which saw house price growth outpace inflation by 87 percent. This study reviewed data from the 37 largest metro areas. The Washington MSA compares favorably with other large metro areas and shows little risk of a price bubble. A bill, entitled the Making FHA More Affordable Act, has been introduced by Rep. Maxine Waters, D-Calif., the ranking member on the House Financial Services Committee. The bill would repeal the life of loan requirement and reinstate the FHA’s previous policy of requiring borrowers to pay mortgage insurance premiums until the outstanding principal balance reaches 78% of the original home value. The FHA changed its policy and instituted the life of loan policy back in 2013, as part of an effort to improve the health of the FHA’s flagship fund, the Mutual Mortgage Insurance Fund. Now, with the MMI Fund on better footing, Waters is pushing for the elimination of the life of loan policy to benefit low and moderate income homebuyers. The bill is supported by the National Association of Realtors (NAR) and several other industry groups. David Stevens, who is recovering from cancer, announced that he will step down as head of MBA in September 2017. At the end of the Mortgage Bankers Association (MBA) national convention in Denver, President David Stevens made a surprise announcement that he would retire effective Sept. 30, 2018. Prior to this, however, he fielded questions from VantageScore President Barrett Burns and MBA members during a Q&A breakout session. Stevens answered several questions covering a range of issues, but much of the discussion focused on reform of government-sponsored enterprises (GSEs) Fannie Mae and Freddie Mac, a pressing issue in the mortgage industry at this time. 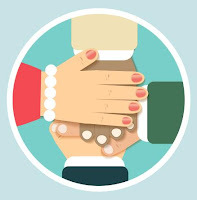 “Having a ‘live person’ you can talk to, who is friendly and helpful, versus trying to deal with the frustrations of an automated system, is why so many landlords tell us they love the VirginiaHousingSearch.com Call Center,” said Crystal Kirby, director of outreach and regional support for Social Serve, the non-profit organization that hosts and maintains this service sponsored by VHDA. 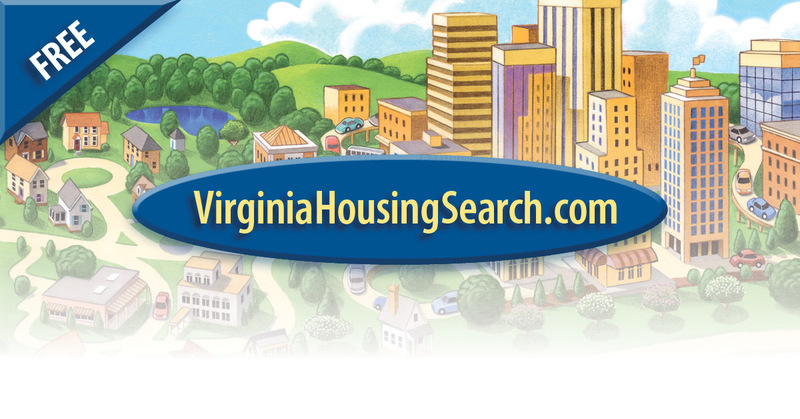 Since its 2009 launch, this free online housing search site has become a key resource for Virginians seeking rental housing. Currently there are 135,000 rental units listed on the site, which receives an average of 23,000 monthly visits. Adding photos and maps to listings and checking for typos. Taking calls from potential renters when the landlord is unavailable. Providing timesaving tips for managing multiple properties. Helping create wait-lists to prevent unwanted calls. Offering tools that make it easy to advertise rental units on other online classified services. Developing reports to see how often listings have been viewed, and how they compare to others in the area. Regularly checking in with landlords to verify that listed properties are still available and making any needed listing adjustments. 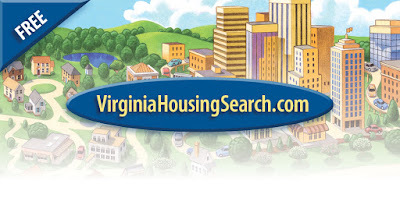 To learn more about everything this free marketing service has to offer landlords, visit VirginiaHousingSearch.com or call toll-free 877-428-8844. In the newly released HMDA data for mortgage activity during calendar year 2016, there were 6,762 reporting institutions, a 2 percent decrease from 6,913 institutions in 2015. This was significantly lower than the peak of 8,886 institutions in the industry during 2006 and relative to that year, the number of HMDA reporters was down by 24 percent. Both home purchase and refinance originations increased in 2016. Purchase originations saw a 14 percent increase, to $1 trillion in 2016 from $876 billion in 2015. Refinance volume increased 24 percent to $949 billion in 2016 from $768 billion in 2015, as 30 year fixed rates stayed below the 4 percent mark for most of 2016 (9 out of 12 months), averaging 17 basis points lower than in 2015. Single-family rental is the fastest-growing segment of the housing market. Changing demographics and housing market conditions will continue to fuel the rental growth. Institutional investors are tiny players in the single-family rental market. The geographic focus of institutional investing in SFRs has shifted. Future growth of institutional investors in SFRs is still up in the air. The Mortgage Bankers Association's Research Institute for Housing America has released a new special report, Managing Mortgage Product Development Risk. "Mortgage banking is a highly cyclical business, prone to expansion and contraction as market conditions change," Rossi said. "Mortgage product innovation is healthy for the industry and consumer so long as product risks and process quality are well understood." The paper noted intrinsic risks associated with mortgage products and processes amplified aggregate losses of mortgage originators, investors and servicers following the mortgage boom of 2004-2007. In many instances, product development acceded to market pressures as the economy expanded and regulatory oversight waned. In an effort to better represent underserved communities, as well as support ongoing diversity initiatives in the mortgage industry, Freddie Mac has announced the opening of a Borrower Help Center in McComb, Mississippi, according to a recent post by Dwight Robinson, SVP of Human Resources, Diversity and Inclusion, and Chief Diversity Officer at Freddie Mac. Robinson notes that this initiative isn’t new—it is the 14th center of its kind throughout the country; however, what makes this location unique is its locale. It is the first located in the lower Mississippi delta, serving a rural community with a median household income of $29,720. African-Americans also makeup 66 percent of the total population, and have a homeownership rate much lower than that of the regional average—50.0 percent—compared to 70.9 percent. The diversity of urban housing markets can also be seen in their racial and ethnic make-up. Among the population of urban housing markets, 33 percent is Hispanic (compared to 17 percent of the nation as a whole), 17 percent is Black (compared to 12 percent of the nation as a whole), 10 percent is Asian (compared to 5 percent) and 3 percent is from other non-Hispanic, non-White racial and ethnic groups (compared to 3 percent). Only 38 percent of the population in urban housing markets identifies as non-Hispanic White. Photo courtesy of Andrew Wilds Photography. 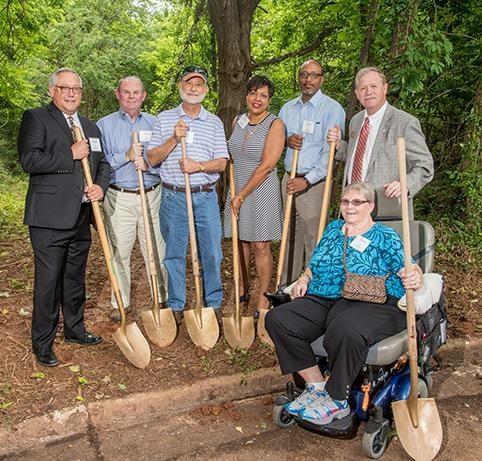 This development will provide affordable, accessible housing for people living with disabilities. VHDA provided Housing Credits. Pictured left to right: Corbin Anderson (Virginia Community Capital); Art Bowen (Managing Director of Rental Housing at VHDA); Neal Sumerlin (Chair, Rush Homes Board of Directors); Treney Tweedy (Vice Mayor of Lynchburg); Willie Fobbs (DHCD); Delegate Scott Garrett, M.D. ; Sandra Stanaitis (Rush Homes tenant, seated). This apartment building and learning center constructed in 1940 is getting a much-needed renovation. When complete, it will have seven units, including two reserved for homeless families. Community Lodgings also provides youth education, budget mentoring, employment counseling, family therapy and more. 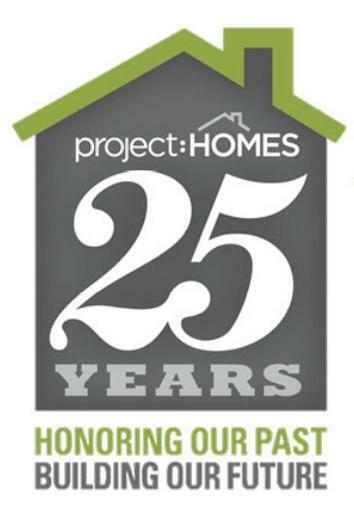 Since 1987, their mission has been to lift families out of homelessness and instability and provide a path to independence and self-sufficiency. VHDA provided a $700,000 loan, the City of Alexandria is granting $300,000 toward the project, and BB&T will be the construction lender. 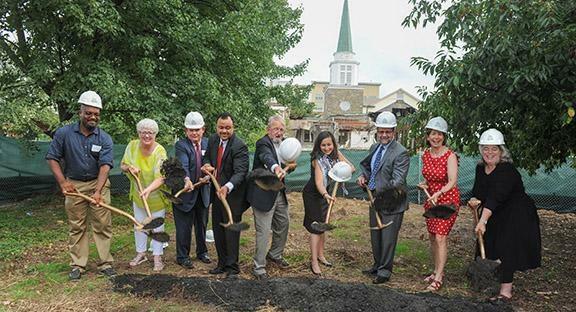 Representatives from VHDA, City of Alexandria, Richmond American Homes, Brookfield Residential, HomeAid Northern Virginia, MITRE Corporation and Community Lodgings were among those celebrating the groundbreaking. On hand for the groundbreaking were representatives from Arlington Presbyterian Church, VHDA, Enterprise Community Partners, APAH, Arlington County, Capital One and the National Capital Presbytery. Cypress Landing will provide quality, affordable housing for 50 disabled, low-income and homeless veterans. 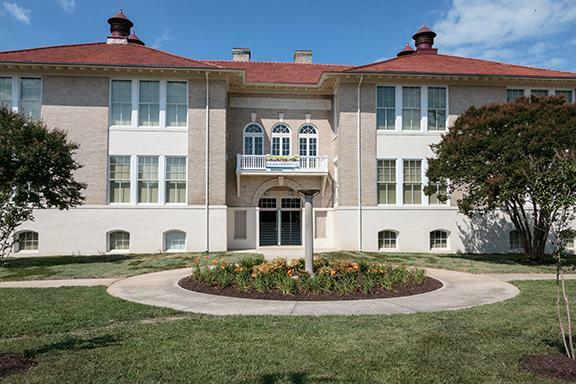 VHDA provided a $2.6 million loan as well as Housing Credits. 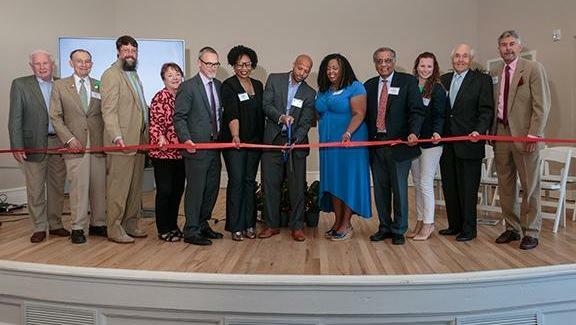 Congratulations to Second Act Communities and all of our partners, including the Department of Housing and Community Development (Virginia Housing Trust Fund), Federal Home Loan Bank of Atlanta, City of Chesapeake, Home Depot Foundation, Hampton Roads Community Foundation and Chesapeake Redevelopment and Housing Authority. After 35 years in the business of helping others, Deb Rapone will tell you she was skeptical that an online program could have any real value in helping people move out of a homeless shelter. But Rapone, who directs the SERVE Family Shelter in Northern Virginia, has become a fan of VHDA's online Renter Education program. The program features a nine-chapter eBook, "How to be a Successful Renter," and Rapone is using it to help shelter guests prepare for the eventual transition to renting a home and independent living. Shelter guests face many challenges when looking for rentals, according to Rapone. The biggest challenge is actually locating affordable rooms, apartments or houses to rent. But shelter guests face other barriers as well, including limited income, previous evictions or judgments, debt, poor credit scores and in some cases, past convictions. "Some have failed so many times relative to renting that they think they will never find a place and cannot succeed as a renter," Rapone said. But the VHDA program is bringing back hope. "We use the program's Certificate of Completion as a tool with landlords, and it has helped us many times," said Rapone. "When we have a landlord who is on the fence with accepting a certain guest due to any of their past challenges, we use the certificate as a demonstration of the guest's commitment to bettering their situation and educating themselves about their responsibilities as a tenant." According to LaDonna Cruse, VHDA's Housing Education Manager, the effort to improve shelter-to-rental conversions began in 2013, when eight statewide roundtable discussions were held to assess the needs of more than 700 industry professionals. The resulting Renter Education program covers renters' rights and responsibilities, common misunderstandings, challenges, barriers, landlord/tenant issues, and Fair Housing concerns. The eBook is sprinkled with tips, alerts, examples and resources, and focuses on three core principles: pay your rent on time, maintain the property, and adhere to all lease provisions. The eBook is available as a free download at vhda.com/RenterEd, and can be used by property managers, housing counselors, educators and others to enhance their own housing programs, as Rapone is doing at the shelter. 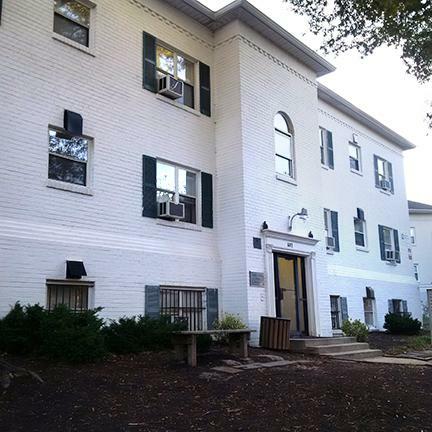 The SERVE Family Shelter is part of Northern Virginia Family Service (NVFS), which also receives housing counseling and homeless assistance grants from VHDA. With 92 beds, it's the area's largest family homeless shelter, and more than 40 percent of the residents are children. The shelter offers its guests a short-term place to stay, as they work toward independent living. "Everything we do here for each guest who comes through our doors is intended to address and assist in resolving whatever is preventing them from getting into stable housing," said Rapone. 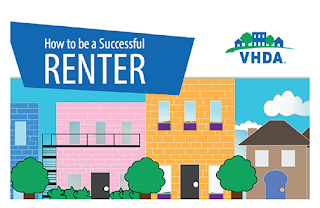 "Not only has [VHDA's Renter Education program] become a very important educational tool for us, but it also helps keep the guests focused on why they are here: HOUSING!" Since its publication in 2015, VHDA's free Renter Education eBook has been downloaded more than 2,600 times. The Administration and Republican leaders in both the House and Senate together released their Unified Framework for Fixing Our Broken Tax Code, a broad tax reform outline intended to serve as a template for the tax-writing committees to develop tax reform legislation. We are excited to report that the Administration and congressional leaders propose to retain the Low Income Housing Tax Credit, saying that "the framework explicitly preserves business credits in two areas where tax incentives have proven to be effective in promoting policy goals important in the American economy: research and development (R&D) and low-income housing." The Framework does not speak to municipal bonds; however, NCSHA has learned from both congressional and industry sources that, when asked explicitly about the authors' intentions regarding municipal bonds, a White House spokesperson speaking at a press briefing yesterday said that the authors of the Framework intend to protect them. NCSHA is working to clarify whether private activity bonds, which are type of municipal bonds, would be preserved. The Internal Revenue Service (IRS) published in the Federal Register a proposed rule that would simplify the public approval requirements that apply to tax-exempt Housing Bonds and other private activity bonds (PABs). The proposal also includes an NCSHA-supported special exemption from certain public approval requirements for single-family mortgage revenue bonds (MRBs). Under current IRS regulations, issuers of Housing Bonds and other PABs are required to hold a public hearing on a potential PAB issuance before the issuance can be approved. The issuer is required to notify the community impacted by the PAB issuance of the public meeting via either newspaper, television, or radio at least 14 days before the public meeting is to take place. The proposed rule would amend this requirement to allow HFAs and other issuers to meet the public notice requirement through electronic sources, as long as such methods comply with a state's open meeting requirements. The Federal Housing Finance Agency (FHFA) released its proposed Strategic Plan for Fiscal Years 2018-2022. The plan outlines FHFA's goals and priorities for overseeing Fannie Mae, Freddie Mac, and the Federal Home Loan Banks (FHLBs). The proposal identifies three major performance goals: ensuring safe and sound regulated entities; ensuring a liquid, stable, and accessible housing finance market; and managing the enterprises' ongoing conservatorship. NLIHC and the Public and Affordable Housing Research Corporation (PAHRC) released a major update to the National Housing Preservation Database (NHPD). The update includes new data and a new user interface, as well as profiles of the federally funded affordable housing preservation needs for all 50 states and the District of Columbia. There are almost 5 million federally assisted rental homes nationally. Nearly 500,000 of these rental homes will reach the end of their current subsidy contracts and affordability restrictions for low income families in the next five years. About one in four of these homes are funded by Low Income Housing Tax Credits (LIHTCs), and three-fifths are funded by HUD Project Based Rental Assistance (Section 8) contracts. As the Richmond region continues to get more diverse, schools and housing continue to be segregated, a new report has found. “As part of our legacy of discrimination, students and their families from minority segregated communities face higher levels of poverty, higher unemployment rates, lower levels of educational attainment and worse health measures,” the authors of the report wrote. “Compounded, these differences have lasting influences on students’ educational attainment and future success.” The report, which was completed this summer after about three years of work, is being presented to local officials by the authors: Genevieve Siegel-Hawley, an education professor at Virginia Commonwealth University; Brian Koziol, the director of research and consulting services at Housing Opportunities Made Equal (HOME) of Virginia; John Moeser, a fellow at the University of Richmond; Taylor Holden, a technician in the Spatial Analysis Lab at the University of Richmond; and Tom Shields, the chair of graduate education at the University of Richmond. A majority of Virginians want to expand state funding for affordable housing and require utility companies to support efficiency upgrades that help families save on energy bills. The Campaign for Housing and Civic Engagement (CHACE), a statewide network of housing advocates spearheaded by the Virginia Housing Alliance and the Virginia Poverty Law Center working to elevate housing issues for the 2017 elections, revealed the results of a statewide public opinion survey on housing and energy efficiency issues conducted by the Judy Ford Wason Center for Public Policy at Christopher Newport University. The poll’s findings demonstrate that, by a wide margin, Virginians want a full spectrum of housing opportunities for all their neighbors. 82% of voters strongly believe that people who work in their community should be able to find a home there. 56% of voters agree that housing affordability is vital to their community’s economic success. 58% of voters also believe that ending homelessness is an important government priority. Homeowners in Texas, Florida and Puerto Rico have returned to their homes and have begun to assess the damage caused by hurricanes Harvey, Irma and Maria. As mortgage servicers begin to address the concerns of these homeowners, they should pay heed to lessons learned from Superstorm Sandy, which damaged or destroyed more than 650,000 homes in New York, New Jersey and Connecticut five years ago. The total estimated $71.4 billion cost of Sandy included not only repairs to homes but also significant repairs to public infrastructure and projects designed to prevent future storm damage. Moody’s Analytics estimates that Hurricanes Harvey and Irma caused between $75 and $95 billion in residential property damage alone and there are an estimated 4.3 million mortgage-encumbered homes in the Harvey and Irma-related FEMA disaster area counties. The impact of the 2017 hurricane season is thus likely to rival, if not dwarf, that of Sandy. Lenders and servicers can prepare by considering the immediate, short term and longer term impact of prior hurricanes, such as Superstorm Sandy, on their business. As part of our public outreach, VHDA's Business Development and Training Manager Dan Kern made a number of media appearances to talk about VHDA and how our programs, including our unique Loan Combo, can help make homeownership a reality. VHDA's Grant Programs & Initiatives support Virginia's Affordable Housing Network. The Community Outreach Division recently hosted its second annual Grantee Training in August. 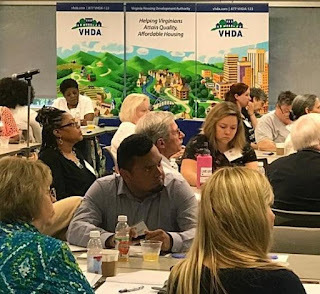 Over the course of two days, 95 individuals from 70 grantee agencies learned about VHDA grant programs, resources and statewide housing initiatives. The meeting featured 17 workshops, 24 speakers and an evening networking session. Thanks to all who attended and presented. 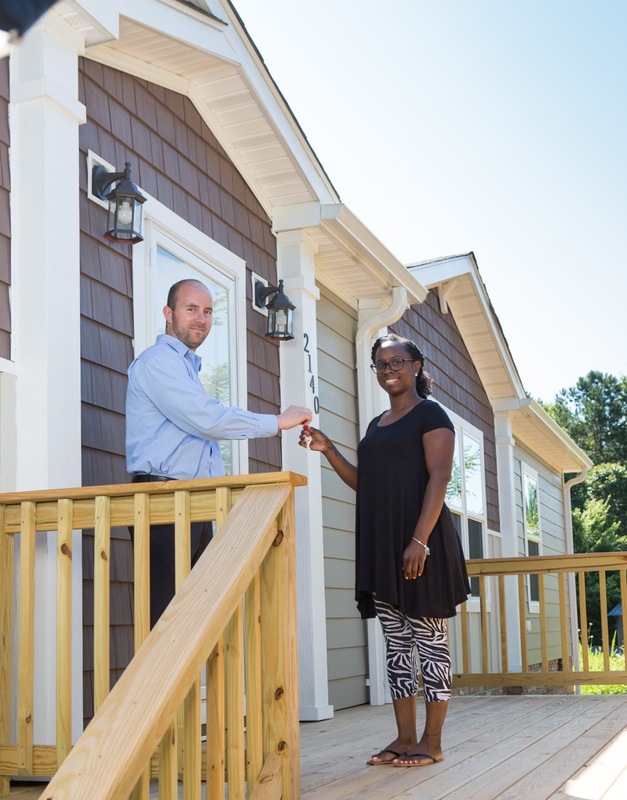 The Virginia Housing Development Authority recently partnered with a federal agency to pilot a new home loan program in Virginia that helps low to moderate-income individuals and families buy manufactured homes in rural areas. By agreeing to join the Existing Manufactured Housing Unit Financing Pilot Program offered by the United States Department of Agriculture’s Office of Rural Development, VHDA has been able to expand its existing VHDA/USDA loan program from financing only new manufactured housing – defined as one year old and newer – to financing existing manufactured housing that can be between one and approximately 10 years old. As a result, many more manufactured housing units are now available to be financed with the multiple benefits offered by VHDA and USDA. 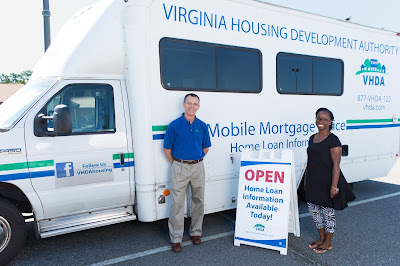 Allen Andrs, VHDA Mobile Mortgage Field Originator and Tenesha Bullock, Virginia’s first borrower to use the VHDA/USDA loan program, stand beside VHDA’s Mobile Mortgage Office. The pilot loan program became available in Virginia this year when Michael Urban, USDA Single Family Housing Program Director, transferred from Vermont and was able to have Virginia included with the eight other states in the pilot. “This program’s out of pocket expenses are definitely less for home buyers,” said Urban. “Our financing is 100% of the appraised value, and then we allow closing costs to be rolled in if the property appraises high enough, so some of our candidates could truly get into their home with no money out of pocket, while other loan programs have down payment requirements. The bottom line is that this program is helping more people get into homeownership. Michael Urban, Virginia’s Single Family Housing Program Director for USDA – Rural Development and Tenesha Bullock, Virginia’s first borrower to use the VHDA/USDA loan program, stand in front of her new manufactured home. “We discussed this pilot program with VHDA, and it just so happened that at the time VHDA’s Mobile Mortgage Office was working with first-time home buyer Tenesha Bullock on the purchase of her manufactured home with another loan product,” he added. Andrs noted that Bullock’s loan application fit the guidelines of the new program, because the house she was buying was a 14-month-old manufactured home that was a model on a dealer’s lot. “Under the current USDA Guarantee program, we can’t finance manufactured homes that are greater than 12 months old. As a result, many older units on dealers’ lots wouldn’t have qualified, so Tenesha wouldn’t have been eligible. Fortunately, she qualified under the pilot program, and we were able to help her buy that home. As a result, she became VHDA’s first borrower using the VHDA/USDA loan program,” he said. 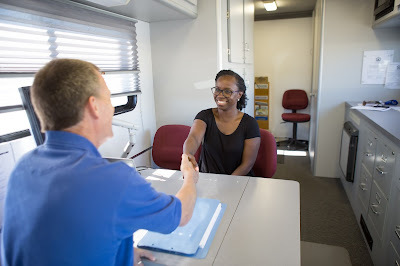 Allen Andrs, VHDA Mobile Mortgage Field Originator, meets with Tenesha Bullock, Virginia’s first borrower to use the VHDA/USDA loan program, inside VHDA’s Mobile Mortgage Office. Bullock added that the no down payment feature was key to her purchase of the house. “Instead of taking a couple of years to save the thousands of dollars needed for a down payment, I was able to pursue homeownership immediately through this program,” she said. Andrs said that over the life of Bullock’s 30-year fixed rate loan, he estimates she will save over $18,000 as a result of Rural Development’s loan guarantee fee, which is the lowest on the market. “I am very fortunate to be the first one in this program, and I’m glad that VHDA was able to switch me over to the VHDA/USDA loan before I closed on the other loan. They saved me a lot of money on my monthly payment – I couldn’t be happier,” Bullock concluded. 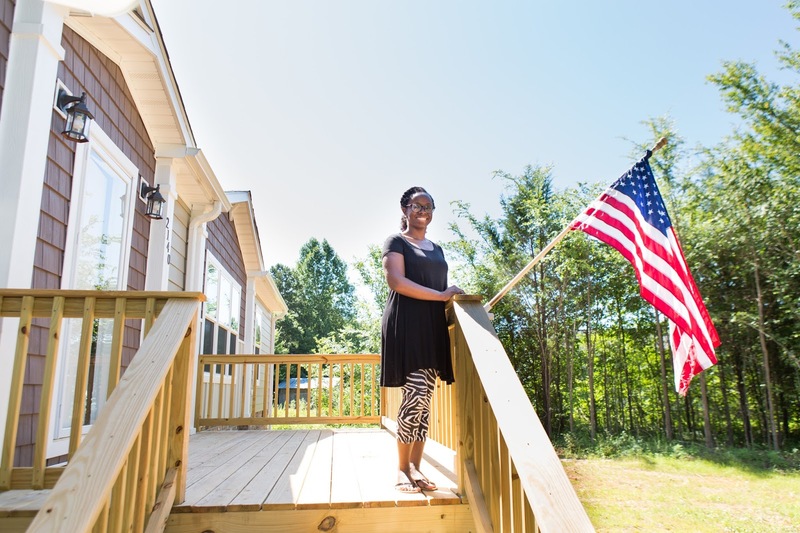 Tenesha Bullock, Virginia’s first borrower to use the VHDA/USDA loan program, stands on the front deck of her new manufactured home. In addition to new construction, the pilot program allows for financing to purchase an existing manufactured home, on a permanent foundation, that was manufactured after January 1, 2006. Manufactured homes are defined as homes that are factory-built in the U.S. to federal construction standards. These homes are built on permanent chassis so they can be transported; however, they typically are not moved after they are installed. Most manufactured homes in Virginia are identified as vinyl-sided ranchers on masonry foundations. To learn more about the VHDA/USDA loan program or find out about eligibility requirements, contact Allen Andrs, VHDA Mobile Mortgage Field Originator, at Allen.Andrs@VHDA.com or (804) 837-1879. 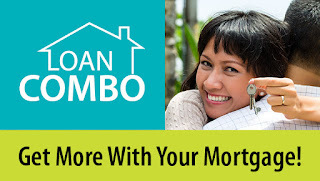 Homebuyers can also use VHDA’s “Find a Lender” search on VHDA’s website (vhda.com) to locate local lenders who can assist with VHDA loans and interest rates. 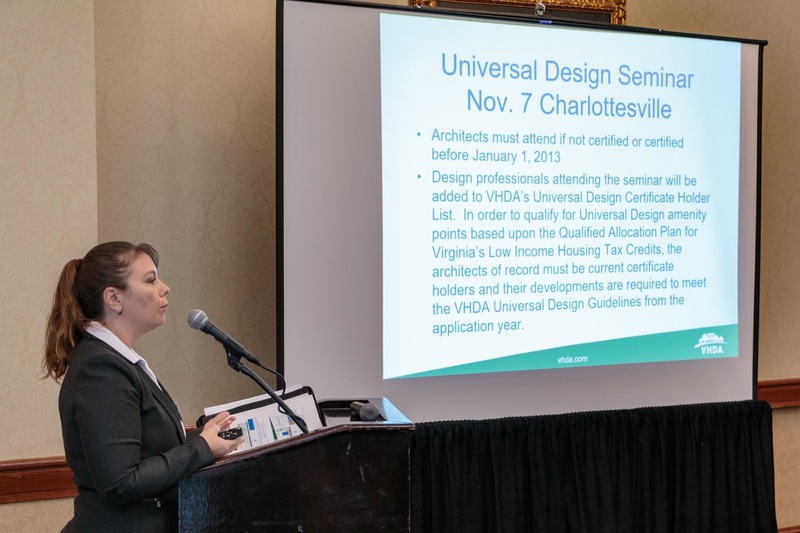 VHDA's Housing Credit department is offering several different training courses for developers, owners, architects and others involved in Virginia's LIHTC (Housing Credit) program. Topics include How to Complete a LIHTC (Housing Credit) Submission, Architect Certification and Universal Design Plans Submission Requirements, and Universal Design. VHDA is the Platinum sponsor of this year's conference, to be held at the Omni Richmond Hotel. The keynote speaker will be Bobby Rozen, who has worked for many years in support of the Low-Income Housing Tax Credit (also known as Housing Credits), and was one of the five original members of Affordable Housing Finance Magazine's Affordable Housing Hall of Fame. Susan Dewey will also be speaking at the event. We hope to see you there! In April, VHDA began advertising our Loan Combo package, which consists of a VHDA mortgage, our Down Payment Assistance grant, a Mortgage Credit Certificate and our free first-time homebuyer's class. Ads directed users to our Loan Combo landing page, which had more than 56,000 visits, resulting in hundreds of inquiries to our lending partners, and borrowers are continuing to ask about VHDA's Loan Combo. On September 8, President Donald Trump signed a legislative package including provisions to provide more than $15 billion in disaster recovery aid, raise the debt ceiling, and enact a continuing resolution to fund federal programs after the September 30 end of this fiscal year until December 8, 2017. The president's signature came after House lawmakers cleared the bill (HR 601) by a 316-90 vote earlier in the day. The Senate approved the package the day before by a 80-17 vote. The legislative package clears Congress' September calendar of several battles that were expected to occur over appropriations, the debt limit, and the future of the National Flood Insurance Program (NFIP). Trump, who endorsed the package earlier in the week, urged members of Congress to now use September to work on tax reform. President Trump nominated Brian Montgomery to serve as commissioner of the Federal Housing Administration (FHA) and HUD assistant secretary for housing. Montgomery previously served as FHA commissioner/assistant secretary for housing from 2005 to mid-2009 after working on President George W. Bush's White House staff. He is currently vice-chairman of the Collingwood Group, a housing finance consulting firm he co-founded. The U.S. Senate confirmed Pamela Patenaude's nomination to serve as Deputy Secretary for Housing and Urban Development (HUD). The final vote approving Patenaude's nomination was 80-17, with all Republicans and most Democrats voting in favor. Three Senators did not vote. As NCSHA has previously reported, Patenaude has held a variety of housing policy positions in both the public and private sectors. She served as HUD Assistant Secretary for Community Planning and Development under President George W. Bush and as HUD's White House liaison under President Reagan. 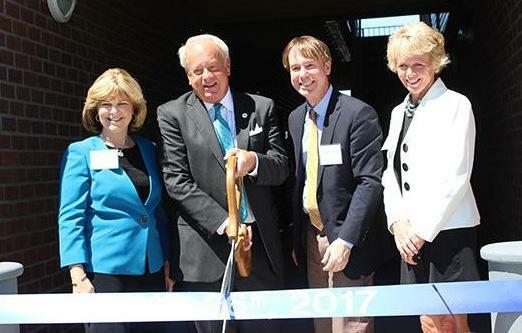 She also previously administered the Section 8 program for the New Hampshire Housing Finance Authority. She is currently president of the J. Ronald Terwilliger Foundation for America's Families, an organization that seeks to elevate housing's place on the political agenda. Private activity Housing Bond issuance increased nearly 60 percent from 2015 to 2016, according to the Council of Development Finance Agencies' (CDFA) latest Annual Volume Cap Report for 2017. The report, which CDFA released, presents data on how states allocate and utilize their private activity bond (PAB) cap each year. All but two states submitted data for 2016, a higher participation rate than achieved for previous reports. The report finds that state and local governments issued $18.47 billion in Housing Bonds, including single-family Mortgage Revenue Bonds (MRBs) and Multifamily Bonds, in 2016, compared to $10.91 billion in 2015. Housing Bonds accounted for 91 percent of total PAB issuance in 2016. This is the third consecutive year that Housing Bonds have made up at least 80% of all PABs issued. Total PAB issuance was $20.38 billion in 2016, a substantial increase from $12.98 billion in 2015. Is Housing Affordable If It Means Spending More on Commuting? Many Virginians struggle to find a home in their budget that's also close to their job. The Housing and Commuting Affordability Index on SOURCEBOOK identifies the percentage of income needed to afford the average home in their community, plus the average cost of commuting to and from work. A household is considered housing and transportation cost burdened if it spends over 34% of household income on rental or mortgage and commuting costs combined. The Index is available statewide, for metro regions, and all localities - and shows the difference between income levels. In Virginia, the average low-income household making 60% of AMI spends nearly half (47%) of their income just for their home and for getting to work. These stats again demonstrate the need for greater harmony between economic development and housing strategies. On September 11, HUD published a Notice in the Federal Register designating Difficult Development Areas (DDA) and Qualified Census Tracts (QCT) for 2018 for purposes of the basis boost allowed under Low Income Housing Tax Credit (Housing Credit) program. DDAs are areas with high construction, land, and utility costs relative to area median income, and QCTs are areas in which at least 50 percent of the households have an income which is less than 60 percent of area median income or which have a poverty rate of at least 25 percent. As it has for the last two years, HUD DDA designations are set at the zip code level, rather than designations covering full metropolitan statistical areas, as was HUD's previous practice. VHDA is pleased to welcome Sarah Stedfast of Virginia Beach as our new chair and Clarissa McAdoo Cannion of Suffolk as vice chair. Tim Chapman has completed his two-year term as chair, and we thank him for his service as he continues to serve on the executive committee. You won’t have late fees. You won’t have delinquencies reported to the credit rating agencies. You won’t have to catch up on all of your payments at once. You can work with your servicer to resume making a mortgage payment that is similar to what you paid before the disaster. Or if you need additional assistance, you can work with your servicer on options to keep your home. Contact your mortgage servicer (the company where you send your monthly payments) as soon as possible to let them know about your current circumstances. The telephone number and mailing address of your mortgage servicer should be listed on your monthly mortgage statement. You also can look it up on the Mortgage Bankers Association website at www.mba.org/news-research-and-resources/hurricane-relief. If you are having difficulty contacting your mortgage servicer, contact the Homeowner’s HOPE Hotline at 1-888-995-HOPE (4673) for assistance and FREE confidential support from a HUD-approved housing counselor. President Donald Trump signed a three-month extension to the National Flood Insurance Program on Friday, giving Congress more time to come up with a long-term financial solution for the program. Trump signed the extension, which was included in H.R. 601, after the House passed the extension in a legislative package that also provides funding for hurricane relief and other priorities. With this new extension, the program will now expire on Dec. 8, 2017. Since taking office, Trump has rousted illegal immigrants, overseeing a 145 percent jump in the arrest of noncriminal undocumented workers, and backed plans to squeeze legal ones by letting only English speakers in. He threatened Mexican President Enrique Pena Nieto with a 35 percent tax on the country’s exports to the U.S., raised duties on imported Canadian lumber and continues to rattle China, South Korea and other parts of Asia with tough trade talk. All carry costs for the new U.S. home, a global melting pot of labor and parts. Trump’s policies could add tens of thousands of dollars to the cost of a house. Freddie Mac announced a new enhanced relief refinancing offering intended to aid borrowers who are making their mortgage payments on time, but are unable to participate in the GSE’s “no cast-out” refinance program due to having a loan-to-value (LTV) ratio above maximum requirements. 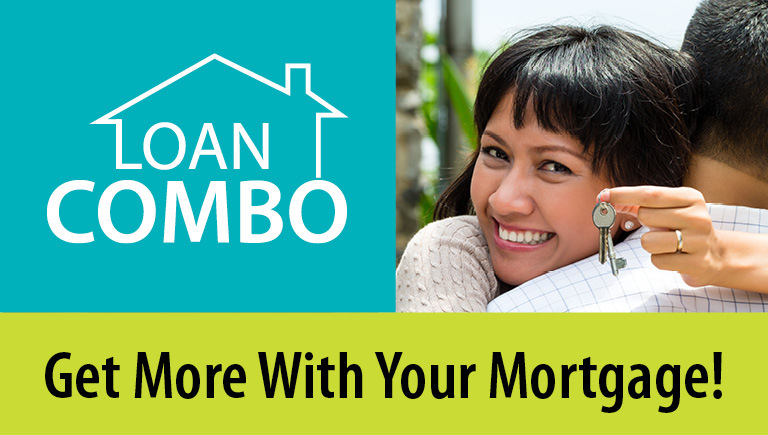 The new program will be effective for mortgages with applications on or after November 1, 2018. How Could Tax Reform Hurt the Housing Market? Tax reform is one of the major ticket items on the current administration’s agenda, a measure that Congress hopes to tackle now that they are back from summer recess. When President Donald Trump first announced his modified tax plan—the first comprehensive change in 30 years—one of the main amendments was the elimination of itemized tax deductions, which would be replaced by doubling the standard deduction. However, two subgroups in the housing industry that could stand to lose on this change rather than benefit: real estate agents, and residential builders. The Houston area continues to see heavy rainfall due to Hurricane Harvey and the heaving flooding plaguing the city is only expected to worsen as rain continues to fall. Some areas could eventually see up to 50 inches of rainfall, and five people have died due to the Category 4 hurricane with another 12 reported injured. Now, the U.S. Department of Housing and Urban Development announced it is offering mortgage and foreclosure relief as well as other assistance to some families, including to the 200,000 FHA-insured homeowners, living in the impacted areas. Hurricane Harvey's ghastly flooding in the Houston area is sure to focus political attention on the National Flood Insurance Program, a controversial government benefit that makes home ownership affordable to many in south Louisiana. It's $24 billion in debt, and unless Congress acts in the next 34 days, it will expire. Whether Congress reforms the troubled program -- forcing more expensive premiums, for example, or discouraging rebuilding in high-risk areas -- or merely extends it despite its structural problems, is the big question. One of the most common arguments put forth by opponents of affordable housing is that it will reduce property values and increase crime. The Center for Urban and Regional Analysis at VCU just released a study that answers this concern. The verdict? Homes built for modest-income households have no impact on surrounding property values or crime rate. Researchers looked at six affordable communities, both apartments and for sale townhomes, in the City of Richmond and three surrounding counties. Property values, sales prices, and crime rates were studied for at least the previous three years and up to ten years after construction. VCU concluded that there is "no evidence" that these affordable communities had "any significant impact on property values, sales prices, or crime rates in the immediately surrounding neighborhoods." There may be rumblings about lowering the cap on mortgage interest rate deductions, but it would have a "rather small effect" on the housing market, Nobel Prize-winning economist Robert Shiller told CNBC. He thinks what's driving the real estate market is our sense of where we're going and the uncertainty with the new administration in Washington. He believes lowering the cap would have more of a psychological effect on home prices than a calculated one. Making homebuyers’ dreams a reality is the goal of every great lender, and in the past few years, how that goal is achieved has changed—influenced by laws, technology and an emerging homebuyer demographic. This is where many articles go down the path of discussing “millennials”, but in the spirit of DS News' upcoming September Diversity issue, will highlight another trend: female homebuyers. According to the 2017 National Association of Realtors Home Buyer and Seller Generational Trends report, single women are buying more houses than single men today. While the majority of total homebuyers are married couples (66 percent), 17 percent were single females (compared to single men, who comprise seven percent of the total). The company's Economic & Strategic Research Team surveyed lenders about their 2017 business priorities and risk concerns, based on results from its second quarter Mortgage Lender Sentiment Survey, in which lenders reported subdued mortgage demand growth, a pessimistic profit margin outlook and strong concerns about increased competition.The survey found mortgage lenders are refocusing their efforts to address challenges of the post-crisis era--in particular, providing a better experience for consumers.